The ultimate and the only vision of the whole movement are to evangelise.It is done through devotional music, spiritual books, and BiblicalSight and sound show live programs. The aim is to impart the gospel message to the common people. Musical Albums: Fr. Shaji Thumpechirayil started to compose lyrics and music of Christian songs since 1992. He has composed more than 2000 songs so far and it is being released periodically during occasions to praise the glory of God. Thus he is promoting the Good News of Jesus Christ through music only for the purpose of evangelization. Light and Sound Shows: Various sight and sound show live programs has been conducted in various towns in Kerala and also in Arab Nations which were written and directed by Fr. Shaji Thumpechirayil. Such programs are encouragement to the present generation to glorify the Lord Almighty through arts and drama. Spiritual Books: books and articles about the Mystery of Faith in God are powerful media to spread the Christian arts and culture. Four of such books by Fr. Shaji Thumpechirayil has been published by Celebrants India so far. 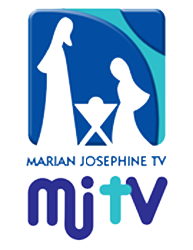 Marian Prayer Group: Fr. Shaji Thumpechirayil is also leading a prayer group who keep on praising the Lord and also praying for the world through Mary. Dedicated prayer group is praying 24x7 for all prayer request. The aim is to bring world peace and well-being through Intercession Prayers.